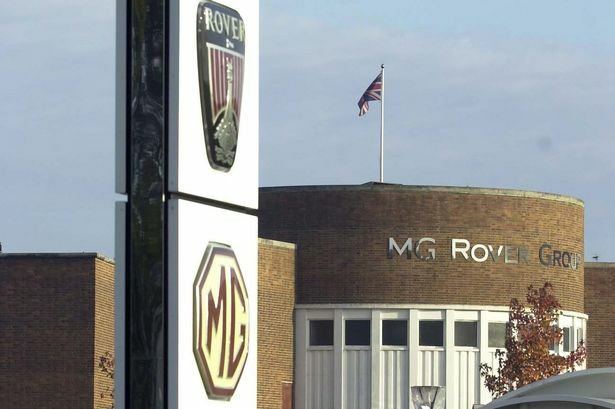 A near ten-year delay over MG Rover pensions branded a "complete, impenetrable mess" has finally been resolved - with an £8 million plus payout for ex-managers. The Pensions Regulator has announced an agreement with former Longbridge firm MGR Capital Ltd which will provide cash bonuses to 95 ex-staff from the MG Rover Group Senior Pension Scheme. The agreement - five months ahead of the tenth anniversary of the closure of Longbridge - will provide the 95 with extra cash in their monthly pension payments. Earlier this month, Labour MP for Northfield Richard Burden described the delay as "hugely, hugely frustrating" and an "impenetrable mess". The ex-managers have been paid by the Pension Protection Fund (PPF) but have been denied full entitlements while an investigation by the Pensions Regulator has dragged on for years. But, announcing the breakthrough, the regulator said the 95 would now receive "benefits in excess of PPF levels as a result of the settlement agreement". The agreement sees MGR Capital pay £8.085 million into the MG Rover Group Senior Pension Scheme. Richard Burden MP said: "It is obviously good news that 95 senior staff of the former MG Rover Group will receive more of their pension entitlement than would have been the case if the scheme had gone into the PPF. "We should, however, also spare a thought for more than 6,000 other former MGR workers who the Phoenix Four promised would each receive money from a multi-million pound trust fund. As it turned out, the employees got nothing. "The £8 million senior staff pension deal is being funded from the assets of MGR Capital, a company reputed to be worth over £23m when it was wound up. "By now it must be worth a great deal more and I guess some or all of the Phoenix Four are still in line to make a tidy sum out of it even after this agreement with the regulator. "That would be wrong. It is nearly ten years on from the collapse of MGR. Even at this late stage, the Phoenix Four should honour the spirit of the promise they made to their workers."